Posters said this week that while they are able to load images in other applications such as Photoshop or Apple Photos, and/or select files in bulk, if at any point an individual JPEG over an unknown size is accessed through Finder or Preview, OS X can fail instantaneously. The problem appears to be independent of any particular Mac model. 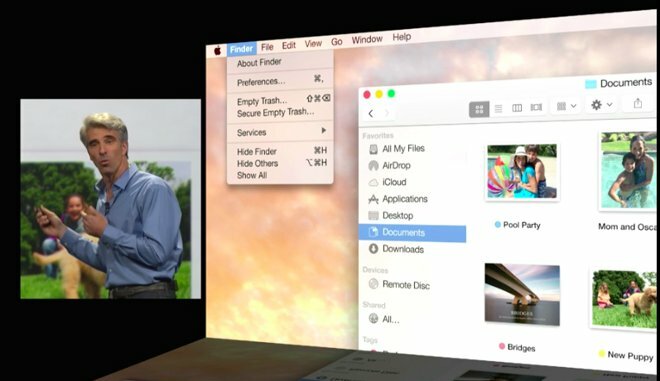 Some proposed workarounds have included using the list view in Finder, previewing images in Safari, or reinstalling OS X 10.10.3. One poster suggested that reinstalling appears to stop the kernel panics, but that Preview may still quit or only briefly display an image before going blank. Apple has reportedly been informed about the issue, and an anonymous tip to AppleInsider suggested that the company is working on a fix to be released in the next few weeks. The OS X 10.10.3 update foremost revolved around the addition of Photos, the company's iPhoto and Aperture replacement with hooks for iCloud Photo Library. It did however make a variety of bugfixes as well, addressing problems in areas such as Wi-Fi networks, Bluetooth connectivity, and screen sharing.